Who we are? .... Why Us? We are one of the Leading UK based Auto Suppliers with thousands of satisfied customers around the world. We specialise in exporting High Quality Prime European Cars, Commercial Vehicles, Machinery & Construction Vehicles and Spare Parts at incredibly Low Cost. Our years of experience of Vehicle Export from UK, is a benefit for international customers to deal with a trusted company. Brand new cars export team at UK Auto Exporters also has right contacts within the industry to find you the best deal on new Audi, Bentley, BMW, Mercedes Benz, Range Rover & Rolls Royce import from UK. UK Auto Exporters are not just a car shipping company in UK; we are your one stop UK used cars dealer shop for all used car import requirements from UK. 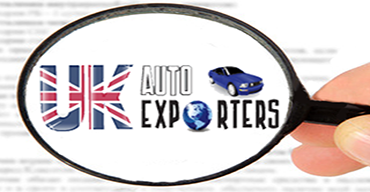 UK Auto Exporters is trusted name as a used vehicles exporter and has years of experience of scouring & shipping brand new and used UK and German cars for car import clients worldwide. Well, UK Auto Exporters are your local used cars dealer in UK to fulfil all of your requirements of all auto import from UK. Our used car export team has wide experience of shipping used UK & German cars to vehicles importers worldwide. Our used vehicles exporter team can source any kind of used UK car for import, according to your requirements. We export all major European makes ranging from: Audi, BMW, Bentley, Ferrari, Ford, Mercedes-Benz, Jaguar, Mini, Porsche, Land Rover, Rolls Royce and Volkswagen with a vast selection of models, colours and age. We export all major brands of Construction Machinery and Plants. Because of our years of experience as Plants & Machinery supplier worldwide, we have been able to build strong and lasting business relationships with Construction Companies and major Auctioneers across the Europe. As a result, we are able to source High Quality Plants & Machinery at extremely Competitive Prices. We export Cars including SUVs (4x4s) & Commercial Vehicles, Plants, Machinery, Trucks and Auto Spare Parts to the Private & Trade Clients Worldwide. However, we do not sell within United Kingdom as it distracts us from our main business (export). Car export dealers or used cars exporter dealing in Japanese used car export as well as used UK car export, who are in used car import business, have this trade secret that left hand drive used Mercedes Benz import from Germany or right hand drive used Mercedes Benz import from UK via UK Auto Exporters is far better choice than Japan import through a Japan used cars exporter. Importing a used Toyota Land Cruiser from Japan via any used cars dealer in Japan cannot be compared with importing a new or used Range Rover from UK via our UK Auto Export service, or even with used Audi Q7 import from or used Mercedes Benz ML import from UK or Germany. Our used vehicles exporter service from UK is the most trustworthy choice for import dealers worldwide. UK Auto Exporters also source and ship brand new, dealer only and used car parts for all UK and German vehicles. Unlike other used cars exporter from UK, our used parts export team has experience and relationship with many UK used cars dealers and can find any used Audi parts, used BMW parts, used Bentley parts, used Mercedes Benz parts, used Range Rover parts & used Rolls Royce parts from UK & Germany. As a UK based experienced used vehicles exporter, we can source any kind of used UK car for import, according to your requirements. So, what are you expected to do? Simply start with us and then focus on selling in your country. Not only do we believe in being a reliable car export service from UK, but we give first priority to customer satisfaction and long term car export business relationship. Rang Rover Import from UK through UK Auto Exporters managed us to get better condition SUV with high specs but very competitive price than local dealers in Hong Kong. Importing Rang Rover on regular bases from UK can be this easy and affordable, we wouldn’t know without the help of UK Auto Exporters. I’m very satisfied, you provided me top star service & best price for my new Mercedes ML all the way from UK. Importing Toyota Prius Hybrid from UK Auto Exporters is the key of success for my imported car business in Lahore. My Rang Rover Evoque reached Hong Kong on time, in the same condition as described on your website. I am very happy with the service. Mercedes c class does cost this less & trouble free to import from UK, wow! Thank you Mr James at UK Auto Exporters. BMW X5 import from UK is a wonderful experience. My new Rang Rover, having it earlier than anyone else in my city was all thanks to UK Auto Exporters. JCB 540-170 telescopic loader in brilliant condition at very affordable price is all thanks to UK Auto Exporters. Importing JCB machinery from UK is the wisest decision we made. UK Auto Exporters is the name of trust we know in UK for all of our JCB import, at very competitive cost with no hidden charges or nasty surprises. Rang Rover parts: UK Auto Exporters is just one name to remember for everyone in North America. Used Volvo trucks, cannot be imported in this wonderful condition other than the UK and without UK Auto Exporters. My Rang Rover parts arrived on time in the same condition as described.